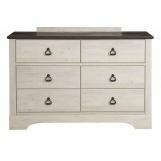 With versatility and transitional styling, Rivervale has long lasting appeal. 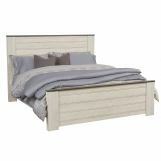 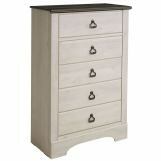 It comes in a contrasting two-tone finish and goes well with any decor. 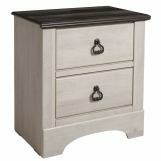 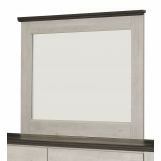 Pair it with the matching Rivervale Dresser, Mirror, Chest and Nightstand to complete the look.